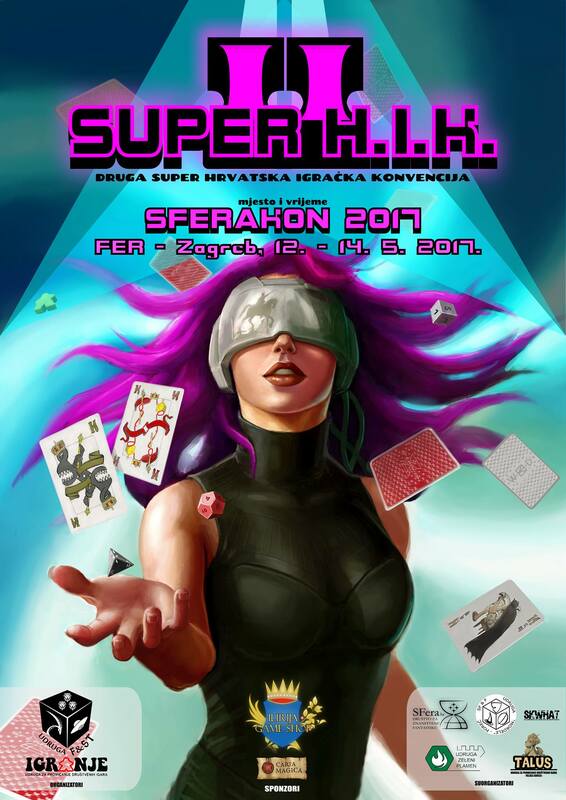 The second FantaSTikon, in association with Association Igranje from Zagreb, will bring to you a convention which will gather together all of the Board Games aficionados of Croatia. The First Super C.G.C. (Super H.I.K.) will be a travelling convention – each year it will be hosted by a different co-founder. This will be a mean in which to encourage equal cooperation between similar associations, as well as a way to give the opportunity to all of those interested in board games to attend the event. The particular emphasis is on presenting the local board games authors to the community.